Sight the beautiful Indo-Pacific Humpback Dolphins in Hong Kong's waters with this half-day trip. 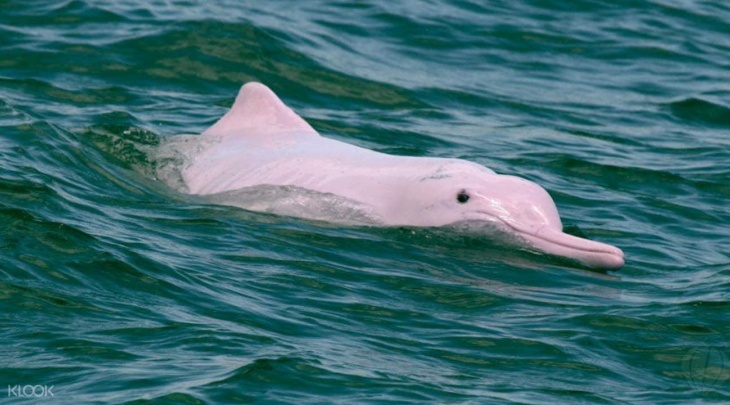 These pink creatures are an unforgettable sight to behold, yet their vulnerable state continues through the changes brought about by Hong Kong's rapid economic development. Gain an insight to this species and learn about the threats they are facing aboard this fun, educational tour. See the dolphins all year round with a 97% sightseeing record! Wed 08:50, Fri 08:50, Sun 08:50. Tsim Sha Tsui MTR exit E. Be there by 8:50am to register with the guide.